After months of negotiating sessions, Teamsters Local 700 and the City of Chicago have come to a tentative agreement for a new five-year contract on behalf of the more than 2,000 city workers represented by the union. Union members are expected to vote to ratify their contract within the next 10 days. 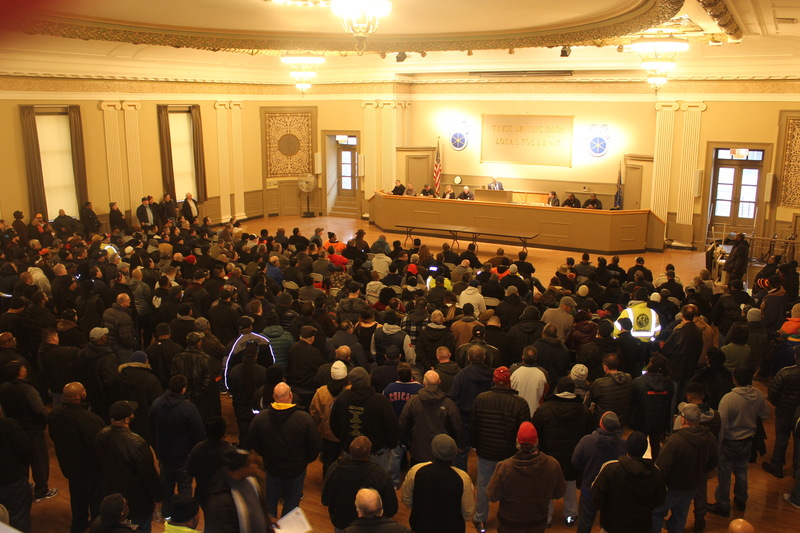 City members of Local 700 came to a meeting at Teamsters Local 705 on Sunday, Jan. 7 to learn the news that they had a tentative agreement to ratify. Members received details of the proposed agreement during the meeting and will receive mailed copies later this week. A ratification vote will be scheduled within the next 10 days and a majority vote is needed to accept the agreement. Sunday’s meeting was originally called by the union as a possible strike authorization vote for the members as negotiations had hit a wall. The negotiating parties did not reach a tentative agreement until late Saturday evening, thereby averting the strike authorization vote which was still a possibility had an agreement not been reached.